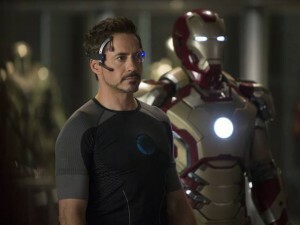 The Full Length ‘Iron Man 3’ Trailer Is Here!!! This looks very good. Can’t wait. Ben Kingsley is going to be badass! or CLICK HERE to see the trailer in glorious Quicktime. ‘Iron Man 3’ Will Get the IMAX 3D Treatment!! Behold!!! A glimpse of the ‘Iron Man 3’ Trailer!!! The New Poster for ‘Iron Man 3’ is All About Don Cheadle!!! This entry was posted on Tuesday, October 23rd, 2012 at 10:11 am	and is filed under Comics, Film, News. You can follow any responses to this entry through the RSS 2.0 feed. You can skip to the end and leave a response. Pinging is currently not allowed. « Marlon Wayans is Back With ‘A Haunted House’!!! Funny Trailer!!! [telling Ben about a dream after Jelly promises not to listen] My wife wakes me up, it's the middle of the night, the baby's crying. I go to the refrigerator to get a bottle of milk, and the milk is black.